It seems to be a common misconception that getting some sort of physical activity daily is difficult and time consuming. What if I were to tell you it wasn’t? What if I were to tell you that small changes in your daily routine would result in an increase in overall health and fitness levels? Well, it’s not hard. A few simple alterations in your daily routine will and can help you lose weight and improve your overall health. We learned to do this for a reason. Our bodies were made to move! Walk to the corner store to get your milk. Walk around the block after dinner….it helps digestion. Take a walk during your lunch break. Most of us sit and stare at computer screens for 8 hours a day. Wouldn’t it be great to get some Vitamin D, fresh air and get away from the computer screen? Best part is, IT’S FREE! Everyone has to clean the house. Some people wait and do it on one day of the week; others break it into smaller tasks throughout the week. Whatever the case may be, you’d be surprised to see how many calories are burned while you scrub the tub. In between tasks, take a minute or two to squat! Increase the number of calories burned by squatting. It will only add a few minutes to your clean, but think of how awesome it is to get in a quick leg workout. Maybe the closest parking spot isn’t the best spot? When you go shopping, whether its groceries or for the “must have” sandals, park further away from your destination. If you take those extra few steps, think about how rewarding it will be once you finally put on those coveted sandals. They’re everywhere! Take the stairs whenever you can. When getting off and on the subway use the stairs. Have you ever noticed that the people using the stairs sometimes end up at the top before everyone else? That’s because far too many of us are relying on the escalator, creating congestion and commuter traffic. If you work in an office building take the stairs. I understand that some people work on the 50th floor of a high rise building and climbing to work is out of the question. But who says you can’t do 2 floors, maybe 3? Climb those 3 floors and then take the elevator….your heart will thank you later. Becoming a healthier individual doesn’t only mean hitting the gym 4 times a week and running 5 K every other day. It means choosing healthier alternatives in our daily lives. Obviously I’m not negating the gym or workouts, but think of how many more calories you can burn when you choose tweak your daily tasks. 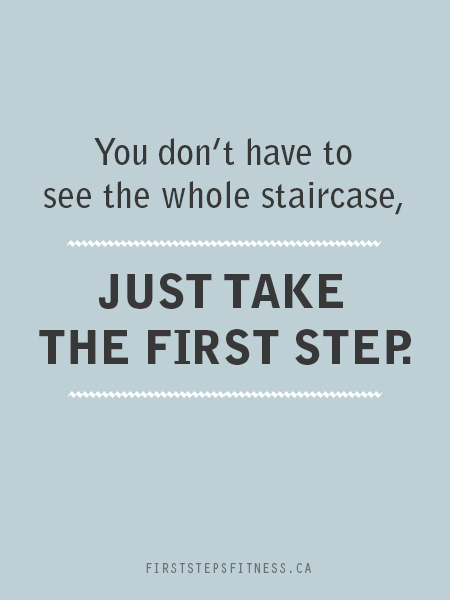 Remember, your fitness journey starts by taking your first steps! Do You Need Personal Training? 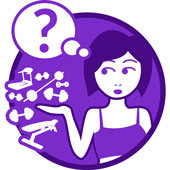 You’ve Hired a Personal Trainer, Now What? "I needed motivation – but not the kind of “motivation” I would get from a loud, overbearing, drill-sergeant trainer who would tell me I am too slow, too fat, and could only eat one leaf of lettuce per day for the rest of my life. And then I found Gaby and First Steps Fitness. With Gaby training me, I felt motivated and supported instead of pushed and intimidated. She was quick to smile and offer support." "Gaby is an excellent trainer; enthusiastic, knowledgeable, patient, supportive and approachable. She is encouraging, pushing you to move from one level of fitness to another and learn something new at each and every workout. Gaby’s approach to exercise is fun and in no way intimidating." Is Hiring a Personal Trainer Right for You? A personal trainer showing proper form – Toronto. For those who are trying to lose weight, tone your body, or have any other fitness goals, one question that you may have is: should you hire a personal trainer? Or will personal training work for you? And, for each person, the answer is going to vary. For starters, you have to know what to look for in a trainer, and what they can help you with, so that you select the right person to work with. There are several factors to consider when you are deciding whether or not to hire a trainer; and, if so, who to work out with for optimal results. What are your trainer’s responsibilities? Assessing your fitness level and capabilities – a good trainer should provide a fitness assessment at the start. Doing this allows the fitness trainer to set a base level for you, to determine your strengths and weaknesses, and to understand what type of training is appropriate for you. Advising you of the correct method. This can range from how to use equipment, to how to properly do a push up or crunches. Doing this helps develop proper form, but even more important, it limits the potential for injury. 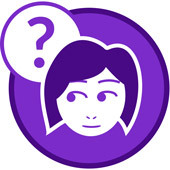 Develop a personalized plan for you based on initial discussions and assessment. As well, the trainer can create a workout plan that you can do on your own, in between sessions. Motivate, encourage and guide you through your journey. Help you set realistic and attainable goals so that you don’t get demotivated and give up. What are advantages of working with a trainer? Motivation and constantly being pushed to the hardest levels. They can develop challenging workout routines you could never do on your own. Some will help you with a nutrition plan, and help you make better meal choices to attain your goals. Trainers know how the body works; this means they can push your muscles in a way which will show growth and strength building, in far less time than you could do on your own. The motivation and constant backing alone, are key reasons why clients have hired me. You not only stay motivated, but when someone is holding you accountable, you are inspired to work harder, and wouldn’t want to disappoint. It’s so much easier to forego exercising when no one is holding you accountable. Personal trainer rates vary based on their degree, credentials, how long they have been training, reputation, and even location. Bigger cities tend to cost a higher rate for good trainers, and personal trainers in a high end gym will likely charge more due to the fact that they have more overhead costs. The cost of one-on-one training can range anywhere from $50 to well over $100 an hour. This is what you should expect in a city like Toronto. Anything lower than $50 an hour, you should stay well away from, or question it (perhaps there are hidden costs that you aren’t aware of). Or the trainer is not experienced or have the proper credentials, such as a trainer certification from a recognized organization. However, many trainers will offer some kind of discount if you sign up for multiple sessions. Typically most clients will take advantage of this. Signing up for multiple sessions helps clients commit to a program they’ve already paid for, plus the added benefit of cost savings. Is it worth hiring a personal trainer? This varies by person. If you are the type of person that needs motivation and is new to working out, a trainer may be a good route; if you like to workout on your own, and are a fitness buff, a trainer isn’t the right choice for you, unless you want to take your fitness to another level. This is when you should look for a specialized trainer focused in a certain discipline. For example, as a personal trainer, it is incumbent on me to keep enhancing my education and experience such as nutritional courses or a specialized field like cross-fit. they’re afraid – they’re afraid to fail. But some are also afraid to succeed – what would they do with a new healthy body? It’s absolutely natural to feel fear. It’s human nature. Not knowing what lies ahead or where your journey will take you is scary. But my job is to lessen that fear by being right by your side guiding and encouraging you along the way. There are many factors to consider, but I hope that this article has helped you make a decision. It makes me happy that you’re even reading this because it means that you’re ready to make a change. >>Contact me to see how I can help you achieve your health and fitness goals.